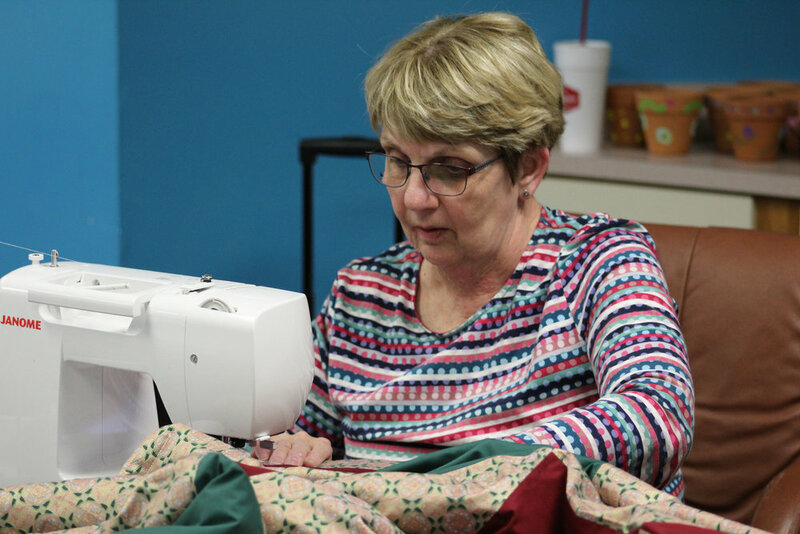 Sew Sew Saints meets from 1:30 to 4 p.m. Tuesday afternoons (except for December). Thy use donated fabric to sew useful items for persons in poverty around the community and world. Three major projects are undertaken throughout the year: quilts for Lutheran World Relief, tote bags for an inner city giveaway and baby layettes for First English Lutheran Church in Columbus. All sewing skill levels are welcomed. 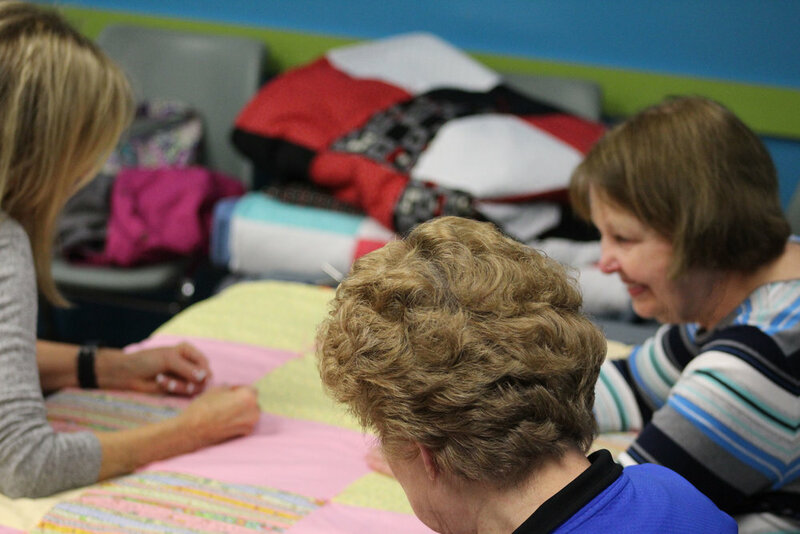 People are needed to sort, iron and cut fabric, assemble quilt kits for congregation members to sew quilt tops at home, and then assemble quilt tops. The tote bags and baby layettes are easily learned as well.